Vadodara Municipal Corporation Recruitment 2018 Job alert both Fresher and Experienced can get Vadodara Municipal Corporation recruitment 2018 updated on February 2, 2018, notification on recent Vadodara Municipal Corporation recruitment 2018 openings across India. 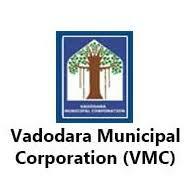 This is an exclusive page updated on 02.02.2018 for the latest recruitment notification vmc.gov.in from Vadodara Municipal Corporation 2018 it contains both active and recently expired Job openings and recruitment notification from Vadodara Municipal Corporation 2018. Educational Qualification: 10th pass, 12th pass & ITI COPA Course N.C.V.T. Address to sent Applications: General Administrative Section, Apprentice Branch, Room no. 127/1, Khanderav Market Building, Vadodara-390290.